For ecommerce businesses, video has provided a powerful new way to showcase products and online merchants are creating increasingly sophisticated videos to take advantage of viewer engagement. Initially, videos were treated more like glorified photos, but today, they’re seen as valuable marketing tools for SEO and social media programs, as well as hugely beneficial for mobile commerce. Here’s how forward-thinking online retailers are using video to benefit their businesses right now. The popularity of websites such as Pinterest, which allow users to gather images and videos based on their interests, is causing savvy ecommerce companies to consider how video can impact these communities. As these sites open up their functionality for video “pinning” – that is, allowing members to attach videos as well as images to their virtual “walls” – ecommerce businesses should be ready with creative videos that these users will eagerly share. When it first debuted, Pinterest limited membership to individuals. However, in late 2012, the site opened up membership to businesses as well. This means now is the perfect time for online merchants to create Pinterest pinboards for their brands and businesses. Adding product videos to websites can help boost search rankings. Google in particular favors video in its search results. Additionally, a rise in your rankings can also be expected. Google and YouTube are continually changing their search algorithms for video in order to determine how to present results that their users find most relevant. In October, for example, YouTube announced that it would rank videos based on “watch time,” giving preference to videos that are watched for longer periods of time instead of only watched for a few seconds. It’s clear that sites like Google and YouTube will continue to change their search algorithms to refine video-related results. Become a regular reader of the Google and YouTube blogs to stay current on search changes. When you’ve invested time and money to create ecommerce videos, you want to realize a proper return on that investment. Smart marketers use videos beyond website product pages. For instance, they embed videos in email newsletters, post them onto social networks, and create channels on YouTube or Vimeo. All of this helps increase their visibility, and their impact on the bottom line. Still images have their place in ecommerce, but they are less effective than video when it comes to influencing a purchasing decision by online shoppers or telling your brand story. However, you can convert images into videos very easily. Even simple slideshows composed of still images and supplemented with voiceover and background music are far more engaging than a static image. 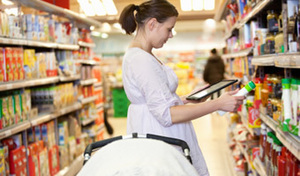 Many shoppers use mobile devices to browse for products, especially when they’re inside of a shop. However, they don’t want to scroll much, nor click on lots of links to find what they need. Videos can actually replace a product page on a mobile commerce site, helping mobile consumers make quick buying decisions, since they can include details like options, price, and availability. Videos created by consumers can have more impact than videos created by a business, since consumers trust what their peers are saying. Today, online merchants are looking for new ways to gather and make use of user-generated videos in their ecommerce storefronts, since these videos can help increase conversions and are also more likely to go viral. There are just two days left to get your entries in for our new digital marketing and ecommerce awards, #TheDigitals, so to give some last minute inspiration I’ve rounded up six examples of effective multichannel marketing campaigns. It follows a recent post that flagged up five great examples of email marketing excellence.